3. We demand that the Islamic regime of Iran must be isolated politically and diplomatically on an international level, and their diplomats and delegates must be expelled from all international organizations, including the United Nations, and especially the UN Commission on the Status of Women and the International Labour Organization (ILO). 4. We demand the closure of the embassies and offices of the Islamic regime of Iran. 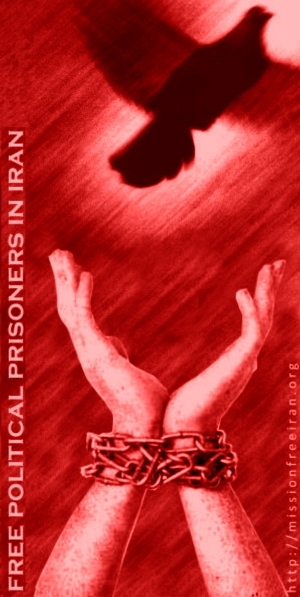 See other cities participating internationally at the website of the Campaign to Free Political Prisoners in Iran.